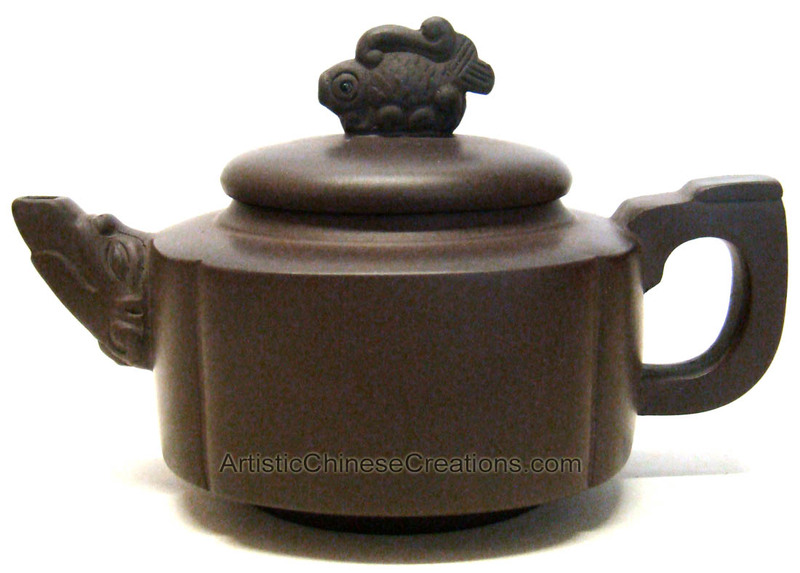 This Chinese YiXing ZiSha teapot is decorated with traditional Chinese fish symbol on top. In the Chinese culture, fish symbolizes abundance, wealth, prosperity, and perseverance. Yixing pottery refers to the unique traditional stoneware made in Yixing, China. They are made from the reddish clay (zisha) found in Yixing area, usually unglazed to display the beauty of the shiny color of the clay. Most of them are teawares (called zisha teapots). Yixing zisha ware won numerous prizes from International trade exhibitions all over the world. 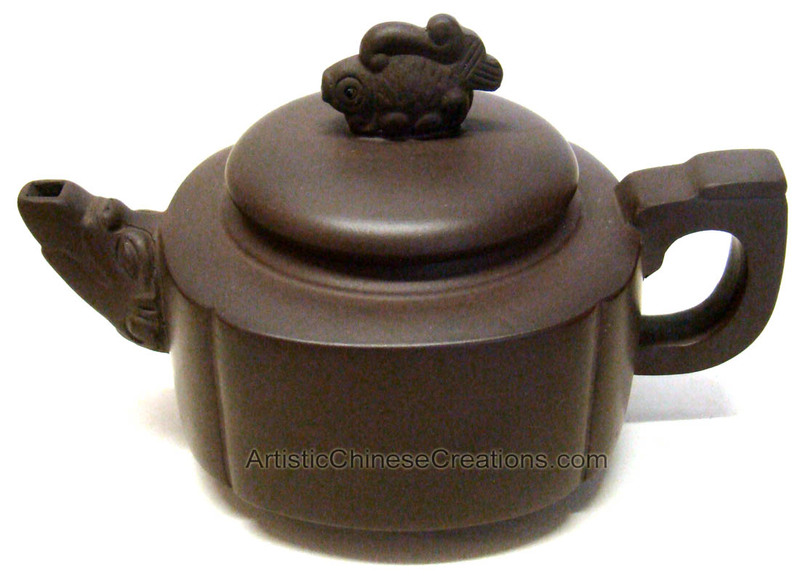 Zisha clay has an excellent plasticity which allows extensive freedom of creation, a small rate of contraction, good in proportions and in dimensions. After firing, the zisha teaware has an appropriate amount of air holes for ventilation such that the teapot can preserve the color, smell and taste of the tea. Also after frequent use and subsequent wiping, the teapot will acquire a natural shine as from pearl and jade stone.